I am beyond excited to bring this post to you today. This is the first post in a brand new fortnightly series. 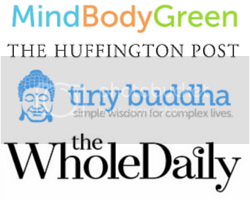 Every second Thursday I will be sharing inspiration and advice from The Women of Wellness. These amazing women are all dedicated to wellness and living life to the max – in a way that makes them feel vibrant and alive. They are devoted to holistic health. These women all follow their own definition of wellness, are connected to their inner wisdom, and are shining beacons of love and light out into the world. I can’t wait to share their wisdom with you. To kick off the series I’m thrilled to introduce you to Chloe from One Infinite Life. Chloe gets that life is full of endless possibilities that are meant to be enjoyed, relished and lived whole-heartedly. She created One Infinite Life to inspire incredible humans who are seeking to live a bigger and more vibrant life. She is a woman after my own heart. Plus she loves reading, hiking, herbal tea and dark chocolate. Chloe is a life coach in-training and I really get the sense that she is going to do big things in this world. She has also just released her free eBook, Infinite: Take your life to the next level and beyond! I was lucky enough to get a sneak peek at Infinite and let me tell you, this love-infused eBook will definitely get you inspired to take your life to the next level. Be sure to head over to her blog, read through her posts, and subscribe to get yourself a copy. For me wellness means looking after myself so I can be absolute best version of myself possible, in all aspects of my life. It means completely accepting and embracing myself, no matter what. I keep wellness a priority in my life by making decisions based on what feels good for me and tuning into what my body needs at any moment. Hiking in nature, swimming in the ocean, being at the beach, spending time with incredible humans, reading great books, laughing so much it hurts, coaching awesome (and inspiring) humans, but most of all at the moment I am super excited about the thought of becoming a qualified life coach soon! Personally I feel alive and in love with life when I focus on staying present in each moment. How do you practice presence and awareness? I practice presence and awareness by bringing my attention to my breath as much as possible as I go about my day. This allows me to connect with myself and be in the now. When I am doing something I try to give my full and undivided attention to it. I also mediate often as I find this helps me be more present throughout my day. Through meditating and being present I get in touch with my inner guide, and I definetely notice a difference in my life when I start ignoring this voice as life doesn’t seem to flow as well and things just don’t feel ‘right’. Simply by asking myself what I need and what would serve me best right now, in any given moment and giving myself permission to be guided by my body and now what I think I ‘should’ do. This means that somedays I eat two breakfasts, and on others I only consume liquids until lunch. Somedays I hike for hours and others I spend a lot more time on my yoga mat instead. This is such a hard question for me as I absolutely love reading, but at the moment I would have to say The Power of Now by Eckhart Tolle. I absolutely love Fran’s approach to wellness, plus she is so inspiring and her blog is super fun. Punching in a Dream by The Naked and Famous. Chloe is a psychology student and a soon-to-be life coach. Her obsessions include: hiking, food, reading and the beach. Her blog One Infinite Life was created to inspire incredible humans who are seeking to live a bigger and more vibrant life. She is also the creator of Infinite: Take your life to the next level and beyond! Get your FREE copy here.